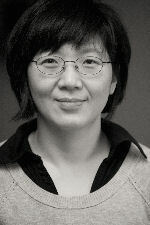 Dr. Kim received her Ph.D. from the Ohio State University and has been working at OSLC since 1999. Her research interests center around the development of psychopathology in adolescents and young adults from at-risk backgrounds, including depression, delinquency, drug use, health risking sexual behavior, and intimate partner violence. Her work has focused on understanding the developmental trajectories and transmission of these health risking behaviors across generations, with a strong focus on mediating effects of self-regulatory systems and social influence processes (especially romantic partners’ influence) on the development of health risking behaviors during emerging adulthood. She has been serving as co-investigator on multiple longitudinal studies of at-risk adolescent populations, including two long-term longitudinal studies of at-risk young men and their romantic partners (Oregon Youth Study and OYS-Couples study) in which the etiology of and effects of romantic relationships on the developmental pathways of psychopathology have been examined. She is also serving as co-investigator on a preventive intervention research to examine the effects of the Treatment Foster Care Oregon (TFCO) intervention on developmental trajectories of problem behaviors in delinquent females during adolescence on young adult outcomes. In addition, Dr. Kim is closely involved in two randomized control efficacy studies to test effects of the Kids in Transition to School (KITS) program which was designed to increase school readiness among at-risk populations including children in foster care. Kim, H. K., Laurent, H. K., Capaldi, D. M., & Feingold, A. (2008). Men’s aggression toward women: A 10-year panel study. Journal of Marriage and Family, 70, 1169-1187. Capaldi, D. M., Kim, H. K., & Owen, L. D. (2008). Romantic partners’ influence on men’s likelihood of arrest in early adulthood. Criminology, 46, 401-433. Kim, H. K., Capaldi, D. M., & Crosby, L. (2007). Generalizability of Gottman and colleagues’ affective process models of couples’ relationship outcomes. Journal of Marriage and Family, 69, 55-72.